How can a toilet be odor free? For the same reason why we can have a fireplace without smelling smoke. 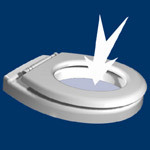 Air is constantly drawn down the toilet and therefore any odors generated when the toilet is used. Because of this, the bathroom is always odorfree, when you arrive, when you use the toilet and when you leave the bathroom. Carl Lindström, co-founder along with his parents of the first commercial composting toilet Clivus AB, which later became Clivus Multrum AB. The original patent stipulated that finished compost was to slide along a sloping bottom and appear as finished compost in the lowest point (CLIVUS means slope in latin). Furthermore it was thought all the liquid in the tank would evaporate. After many decades observations, we found that this did not happen. Instead the material shrinks aided by both micro and macro-organisms and can, because of the small residue after several years processing, stay isolated in the processtank for several decades. Of late a next generation of processtanks have been developed, taking less space and working with less maintenance and service than the older Clivus tanks. Carl works now like earlier with the US corporation Clivus Multrum USA Inc. 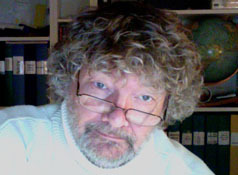 In 2007 Carl founded CompostEra AB in Sweden with the sight set on solving the waste problems in the Swedish archipelago. These tanks are dimensioned to go for 30-50 years without removing solids.